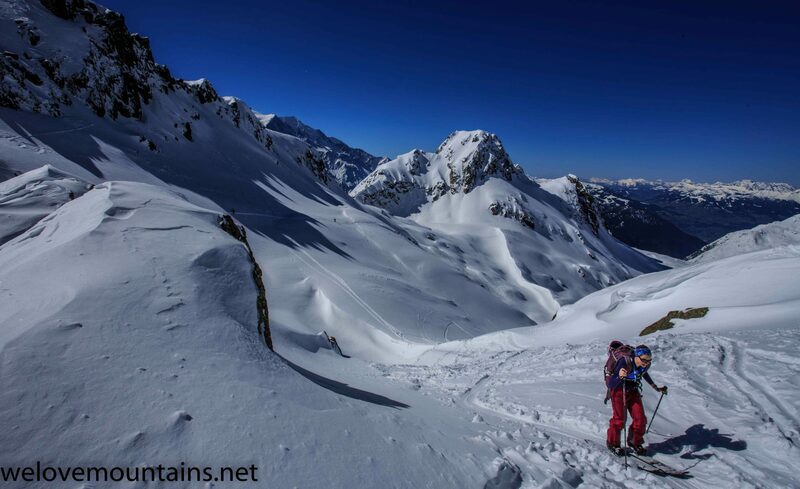 It was the end of the 2014/15 ski season in a weeks time and we had just three days back in Chamonix to ski. It wasn’t long but having lived here for the two years we knew straight where to head in order to make the most of this great but sometimes confusing resort. It’s been a funny old season in the Alps and N. America during 2014/15, I saw it described as “The winter that never was”. I do feel lucky to have been cycling up in the Tweed Valley this winter and not praying for more snow, just less mud. The weather gods were on our side when we arrived on a rare 20cm powder day in the Chamonix Valley. 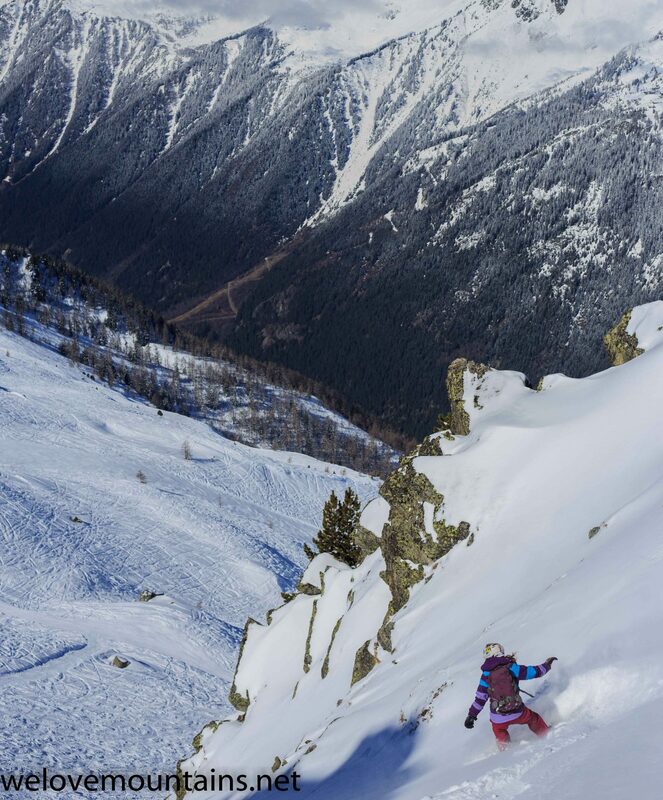 It was Easter weekend so the crowds would be out in force, therefore our local tactic number one was to avoid the crowded Grands Montets. Day one we headed to Brevent to slide my favourite couloirs. 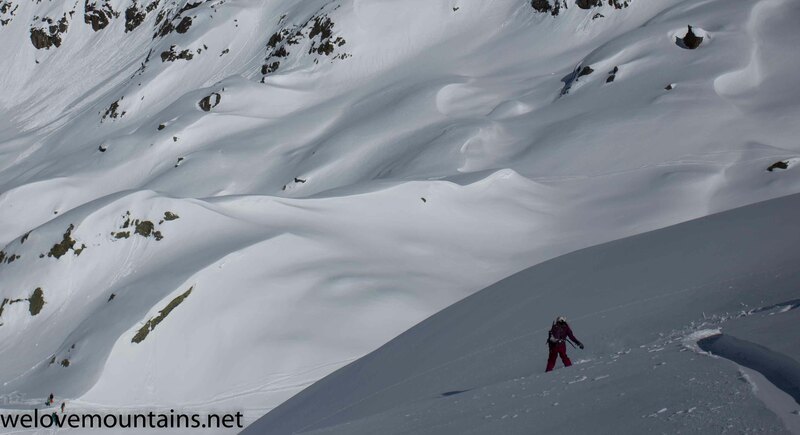 Safe options for fresh tracks on a powder day, snow cover was thin so it wasn’t a time to be straight-lining these chutes like last winter. Instead we floated cautiously making first tracks under the Cornu chairlift, then traversing skiers right off the same lift for a few fresh runs, but avoiding this area as soon as the sun heats the snow and it gets sketchy later on. The next run was a tape ducking run into the next bowl over towards Flegere again only safe to ride early before the sun starts to unsettle the snow but a great lap on deep fresh snow. A ride up the Index chair and grabbing fresh turns in my favourite hidden couloir completed the morning, that I wont start to describe. I few runs in the trees towards Liason lift and then it was time to top up the tans and enjoying some riding with old friends. 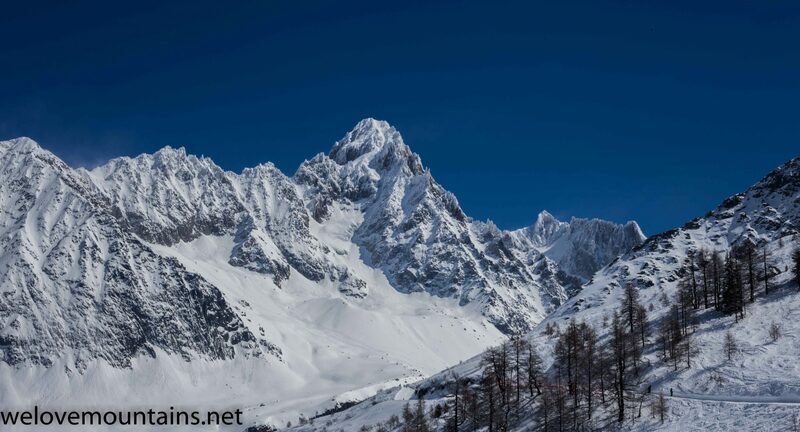 Day two is the time to head up to the Grands Montets. The main bowls and runs are tracked out and crowds are lesser, but a sneaky few spots stay fresh. First lift bins up to the top are worth the effort especially if they were closed for bombing the day before. 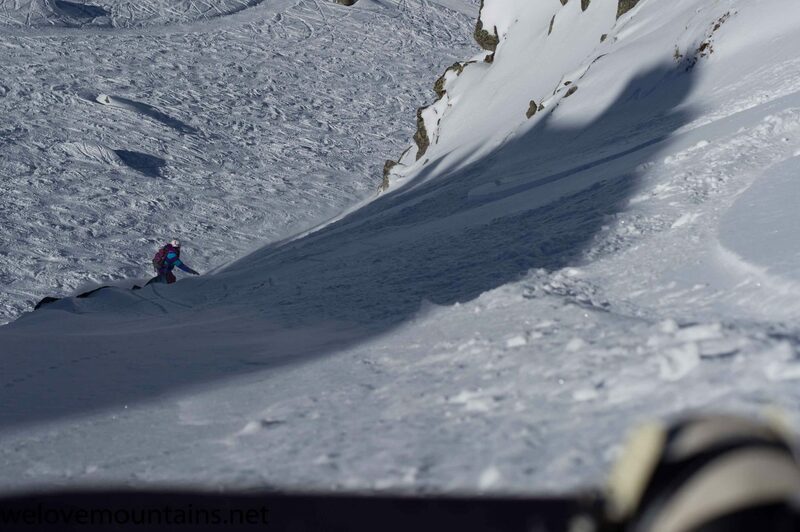 Then it’s time to go seeking couloirs into Lavanche bowl on both the left and right sides. Another great option would normally be down the Pas de Chevre off the top lift but 2014/15 was not the season to be hitting that run it seemed due to the dangerous moraine onto the Mer de Glace. Another favourite of mine is riding down the ridge past the pendant lift in Lavanche bowl and getting fresh pillows and tree runs before the hike back up to the lift. It’s Always worth the effort. 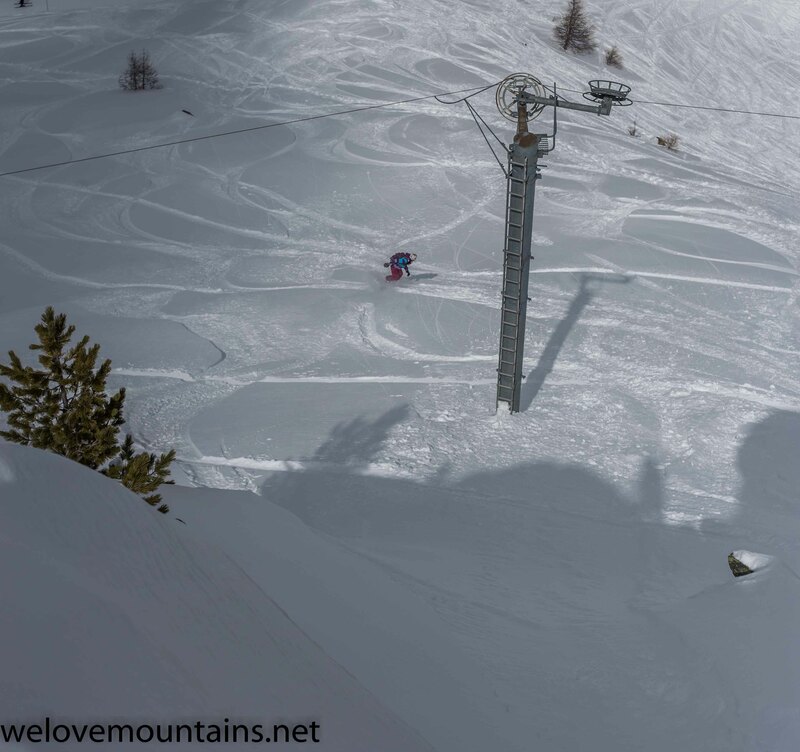 We also hiked a great powder field near the top of the Pendant lift, the high point along the ride had a great narrow chute to hop into and point straight, not being wide enough to turn! A few runs on the moguls that rapidly form at Grands Montets, before a long run down through the trees under the Refuge below the Italian bowl area on the far skiers right. Day Three is touring day, we would normally have headed up the Aiguille du Midi lift but having missed this season we didn’t now enough about the crevasses and snow bridge safety. Which would be a concenr given the low snow fall and we didn’t want to hire a guide. Instead we stuck to the Aiguille Rouge range for some splitboarding into various empty bowls and a sneaky boot packed couloir. THe snow pack was stabilishing but had various interesting layers still present especially on North aspects. We found safer slopes and still had a lot of fun. We didn’t follow the people doing the Bernard route as this isn’t much fun on a snowboard, opting for shorter steeper runs. That was our three days in Chamonix and we were, as always well looked after by Agence des Drus with a great flat in town. I can’t believe our luck with the snow and the weather: having good tans, good snow and fun times. We then borrowed a tunnel pass to drive into Italy and explore the Santa Rosa ski area.